We're bringing luxury to a new class, introducing a limited Monaco conversion. Based on the existing Renault Space Class Trafic, which is available with a number of seating combinations. 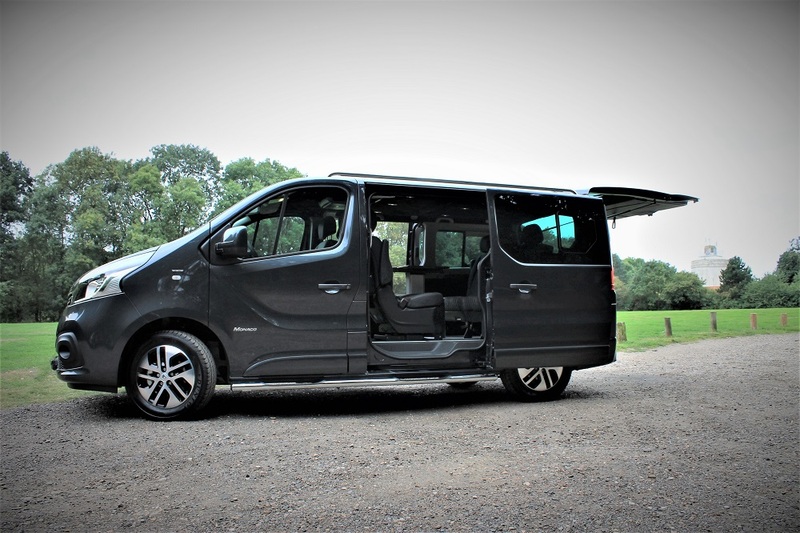 Renault introduced the Space Class late last year as a new executive vehicle perfect for families and executive hire. We're upgrading the existing Renault with the luxurious Monaco trim work, diamond quilted stitching adds an extra touch of style to the design. This is continued throughout the headlining and also features diamond stitch panels. The Space Class will have those extra little touches, the home comforts we all want. A screen and DVD player and a fridge for refreshments along the journey.